With end to the security operation at Dusit business complex in Kenya, that had been besieged by terrorists, killing 15 people and injuring scores, attention shifted from the horrid scene to a Kenyan civilian whose pictures have been making rounds on social media. 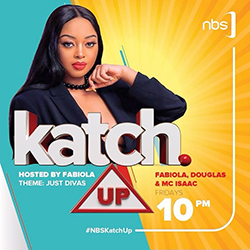 To the Kenyan audience, many imagined he could be attached to a classified security agency, may be an Israeli commando while the Ugandan group simply wondered how a man, with no bullet proof, pistol in hand was hovering around the place where bullets are flying from their magazines. 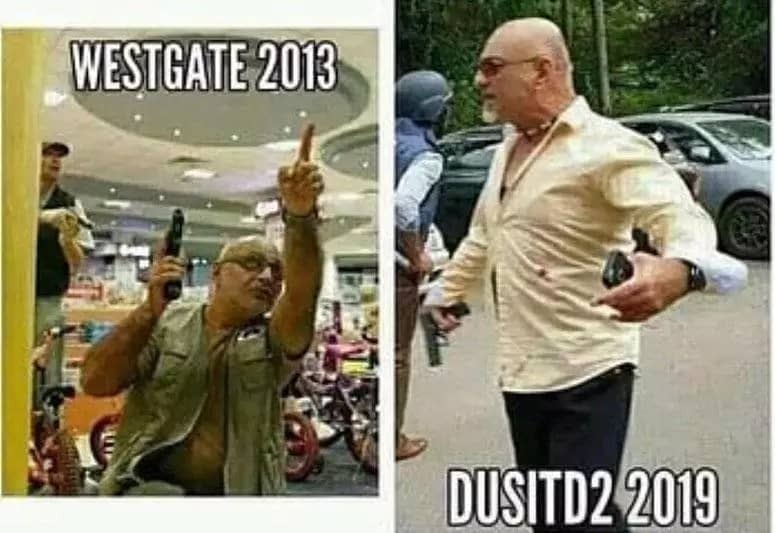 With the pictures going viral, it became clear that man was not making a grand appearance, he was returning to fetch more people to safety, his last appearance being the West Gate terror attack in 2013, and this is none other than Inayat Kassam. 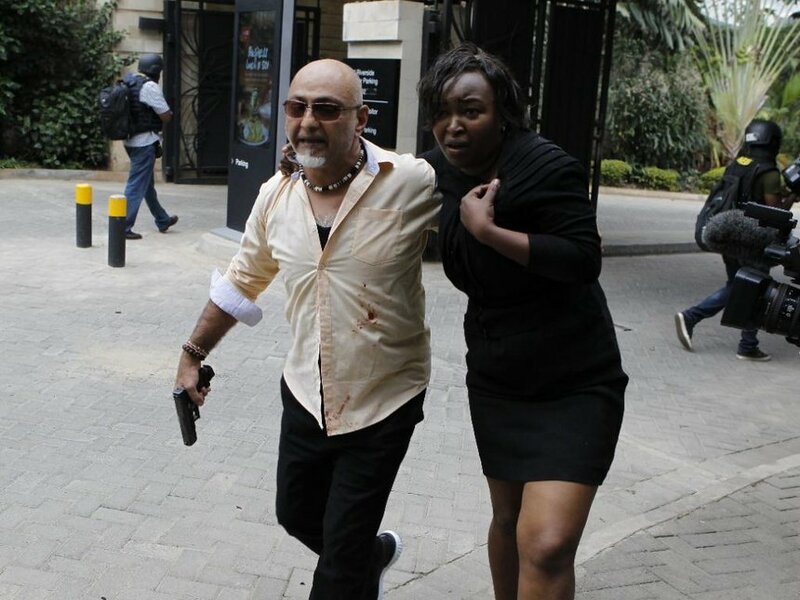 Aged 51, Kassam according to Kenyan media was one of the first respondents to the Riverside attacks, swinging in with his pistol and sneakers and directing many captives to safety. One medium in Kenya informally reports that in one of his rescues he told a woman: “Not today my sister, you are not dying today,” while he walked her through the movie-like-bullet flying scene. Inayat while appearing on Citizen TV’s home grown heroes interview in September last year, said he received a phone call of distress and he chose to abandon his ranch where he trains people in weapon handling and self defence, dashed to the West Gate and “without thinking it through too much” walked into the fire of terrorists to rescue fellow Kenyans. According to him, the goal was to rescue more and more lives even after he realised his own was in danger as he approached specific sections of the rescue mission. But for Kassam, the strangest incident during the mission was when one of the captives he wanted to rescue asked him to produce his Identification before he could trust him. 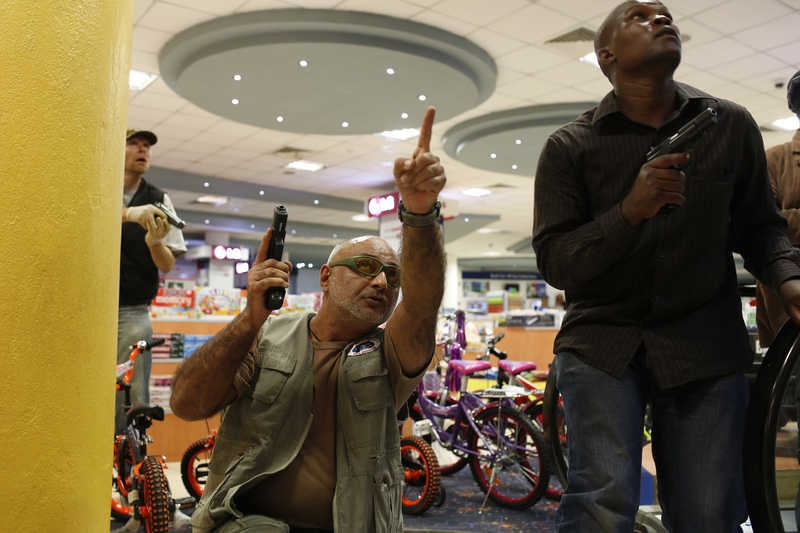 Kassam secures an area inside Westgate Shopping Centre in Nairobi September 21, 2013. Reuters Photo. Following the end of mission at West Gate, Kassam insisted there was no need for credit required, but preferred that another incident in Kenya finds people more prepared and that they would have an opportunity this time round not to be condemned to bigger life losses. Unfortunately for Kassam, five years later another matter recalled his services. Kenyans and Ugandans at large have taken to social media to express gratitude towards this Kenyan Jack Bauer, many calling out the government to reward him for always throwing his body into the journey of grenades and terrorist guided bullets. If the government was truly serious about honouring actual Kenyan heroes, Inayat Kassam would be top of the list. He is licensed gun holder, a firearms instructor, training people on how to hand rifles, especially for close-range shooting. Kassam runs self-defence classes for individuals, security firms and corporate entities.